We try to give as much notice as possible when a lesson is cancelled due to rain or heat. We have a text messaging service that will advise if a lesson is cancelled and when it will be made up. If in the event you have not received a text and it is raining in your area please keep in mind it may just be a local shower that has missed the tennis club. 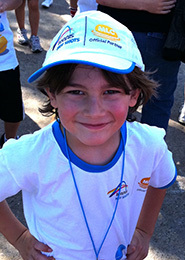 At CTS we start children at the age of 3 in our Little Tennis Program. This is a fun way to start learning motor and perceptual skills that will help them play tennis, as they get older. These lessons are held side by side a ladies group lesson so mum is never to far away. 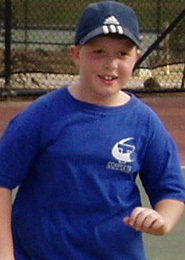 For more information on our Little Tennis Program. What happens if I’m sick and cannot attend my lesson? Group lessons are delivered in a semester of 16 weeks whereas privates are done by a 8 week term. We will send a text message to you at the end of your specified period and unless we hear from you, we assume you are continuing and will automatically re enrol you into the next training period. Can I pay by the week or the month? Payment arrangements can be organised by contacting the office on 9333-6525. What happens if after enrolling I decide I don’t want to play anymore? From the day you advise us that you wish to cease having tennis lessons we will refund you the remaining fees minus a $20 cancellation fee. Students cannot pull out of lessons until they complete 3 lessons. Players cannot decide in 1 lesson whether they like playing or not. Fees will be transferred into your bank account within 7 days of the cancellation. Refunds will not be given by Cash, Cheque or Card. Are lessons still on if it’s a public holiday? What if it’s really hot? We cancel if its 35 degrees or hotter as we have a duty of care. How do I join competition? We host a Hot Shots competition on a Friday night for young juniors wishing to experience match play. However once they are ready they might like to represent their club. For more information please visit the Greenvale or Craigieburn sections. You may hire a court by contacting CTS on 9333-6525 A coach will open the courts for you at your desired time. You can also hire or buy balls if need be. Do I need to purchase a racquet for my child before commencing lessons? No we can provide racquets until you choose to purchase one etc. Group lessons go for 45 mins private lessons and squad sessions vary in time. Please check lesson types for specific times. CTS operate on a ratio of 1-6 but most of the time only 5 as the extra spot is for people doing make ups. 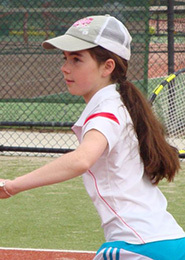 We have semester long training periods which mainly occurs in all junior Hot Shot classes – 16 weeks. For all other lesson types the training period is a term – 8 weeks. 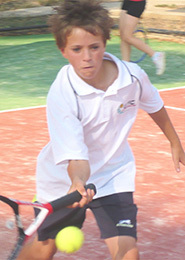 Can my child progress to competitive tennis? Yes – they can represent the club once they are at a standard where they can serve, rally and score. Competitions begin in February and July each year. Does my child require any special clothing/footwear to learn tennis? All children with their enrolment fee receive a T-shirt. We like children to wear the t-shirt to lessons, so they feel part of a team. We are also very conscious of the sun and do prefer children to wear a hat and sun protective clothing.